Take your leadership to the next level by applying for the Executive Board. Attend at least one of the three open Executive Board meetings during the spring semester. Read the PRSSA Consitution 18-19, Code of Conduct for Board Members, Members, and the Bylaws. 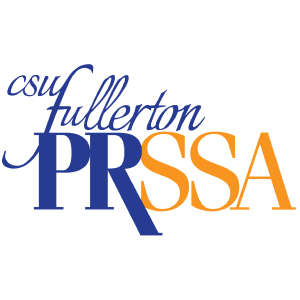 Fill out the PRSSA Executive Board Elections 19-20 and email it to csufprssa@gmail.com by 11:59 p.m. on Wednesday, March 20, 2019. The current Executive Board will review your application. You will be sent an email with dates to choose for an interview by the current President, Vice President, Incoming President and the board member(s) you are applying for. After the interview, the current Executive Board selects the nominating slate (one recommended applicant for each position). The nominating slate will be announced on Monday, April 8, 2019 at 10 a.m. by President Kristen Cuaresma. If you are not chosen as part of the nominating slate, you can run from the floor, but you must inform the current President by 9 p.m. on Monday, April 8, 2019. On April 10, 2019 at 6 p.m., present your 2-minute speech followed by a question and answer forum from the audience. Members that are present at the Executive Board elections will VOTE on the next Executive Board. What is the nominating slate? The nominating slate tells PRSSA members who the current Executive Board Members believe is the best fit for the positions. The nominating slate represents those who the current executive board feels meets the most qualifications. However, any applicants that do not appear on the nominating slate are still encouraged to run from the floor on election day, should they want to convince members they are the best fit for the position on election day.